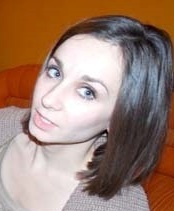 Nataliya Yaneva holds a Master’s degree in Law from the St. Cyril and St. Methodius University of Veliko Turnovo (2012). She has been translating school materials for the Khan Academy Bulgaria project and sci-fi stories for the Human Library. She has participated in the 2014 Translators' Atelier organized by the Elizabeth Kostova Foundation and the Bulgarian Translators' Union. Her interests are in the areas of literature (which is, according to her, the most delightful opportunity to peer into the human mind), travelling, English language and its perfection.